The international medical humanitarian organisation Médecins Sans Frontières/Doctors Without Borders (MSF) announced today that it will host clinical trials in three Ebola treatment centres in West Africa. The separate trials, which are aimed at quickly finding an effective therapy that can be used against the disease which has so far taken more than 5,000 lives in the current outbreak in the region, will be led by three different research partners. “This is an unprecedented international partnership which represents hope for patients to finally get a real treatment against a disease that today kills between 50 and 80% of those infected,” said Dr Annick Antierens, who coordinates the investigational partnerships for MSF. 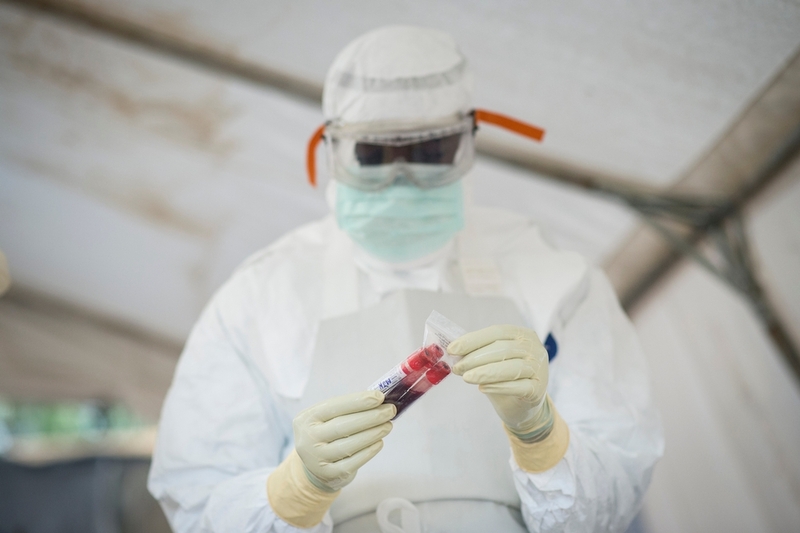 “As one of the principal providers of medical care to Ebola patients in West Africa, MSF is taking part in these accelerated clinical trials to give people affected by the current outbreak a better chance of survival. The trials’ protocols are in the final stages of development and are designed with a simple target of 14-day survival and with broad inclusion criteria. The protocols will ensure that disruption to patient care will be minimal, that internationally-accepted medical and research ethical standards are respected, and that sound scientific data will be produced and shared for the public good. The main principles and designs have been shared with the respective countries’ ethical authorities, with the goal of starting the first trials during December 2014. Initial results could be available in February 2015. "We are determined not to fail the people of West Africa"
In Foya, Liberia, an MSF health promoter supports a mother as she talks to her young son who is in the confirmed patients ward. While clinical trials are underway, MSF is urging the drugs’ developers to scale up production supply now, to ensure there is no gap between the end of the trials and the large-scale introduction of products found to be safe and effective. MSF is also urging drug manufacturers to ensure that end products are affordable and available in the quantities needed to tackle the outbreak at its epicentre in West Africa. Distribution of end products should be driven by needs, irrespective of where people live or the capacity of a country to pay.